A conspiracy involving Gov. Jerry Brown, state regulators, Chevron Corp. and the oil industry let petroleum companies inject their wastewater into California aquifers despite the devastating drought, a lawsuit filed Wednesday alleges. The suit claims that Brown in 2011 fired California’s top oil regulator under pressure from the industry after she started subjecting some of the oil companies’ operations to greater scrutiny, particularly requests to dispose of oil field wastewater underground. Brown then replaced her with someone who promised to be more “flexible” with the oil companies, according to the complaint. Federal officials have since determined that oil companies have injected billions of gallons of their wastewater into aquifers that should have been protected by law, aquifers that could be used for drinking or irrigation. California regulators have now pledged to end the practice, although some of the injection wells may be allowed to keep pumping until 2017. “California is experiencing the greatest drought of this generation, and protecting fresh water is of paramount concern,” said R. Rex Parris, lead attorney representing Central Valley farmers on the suit, which was filed in U.S. District Court for the Central District of California. California’s oil reservoirs contain large amounts of salty water that must be separated from the petroleum and disposed of, usually by pumping it underground. Oil production companies can’t extract oil without some way of handling the left-over water, also known as “produced water.” The urge to boost California oil production prompted the conspiracy, Parris said. “The fundamental goal of the … conspiracy was to preserve and expand the ability to inject underground chemicals and toxic waste, thereby expanding their oil production and maximizing profits, including tax revenues,” he said. The governor’s office declined to comment on the suit Wednesday, as did the state’s oil regulating agency, the Division of Oil, Gas and Geothermal Resources. The division is named as a defendant in the suit, as are Chevron, Occidental Oil, two oil industry associations and several state and local officials. A Chevron spokesman said protecting water resources is one of the company’s core values. The suit marks the latest twist in a long-building problem that burst into the open last year when the division abruptly shut down several wells that it feared could be injecting oil-field wastewater into aquifers already used for irrigation or drinking. Since then, the number of injection wells closed by the state has increased to 23. But the division insists it has not yet found any drinking or irrigation wells that have been tainted by the injections. The lawsuit argues, however, that at least one Central Valley farmer lost an orchard to contamination from the oil industry’s produced water. Mike Hopkins, one of the plaintiffs in the suit, had to tear out 3,500 cherry trees whose leaves kept shriveling up and turning brown. Tests of the water showed unusually high levels of salt and boron. A former wastewater injection well lay across a rural road from his Kern County orchard. Much of the suit involves a 2011 episode that until this year received little attention outside Sacramento and the Central Valley’s oil fields. Oil companies and their political allies complained that the division under its supervisor at the time, Elena Miller, had bogged down the process of applying for underground injection permits. 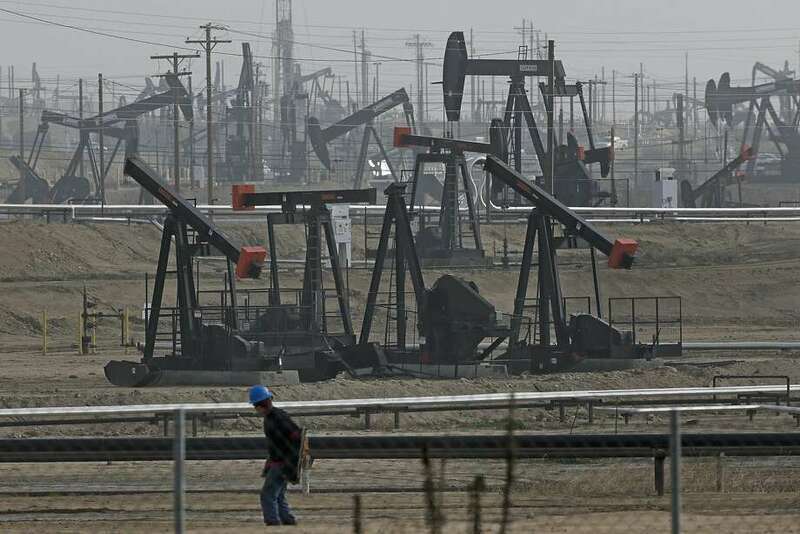 In addition to wastewater disposal, California oil companies need the permits to inject steam or water into aging oil fields as a way of flushing out more petroleum. Miller had held the position since 2009 and was considered an outsider by the industry. According to the suit, Miller insisted that the law required oil companies to submit detailed engineering and geological studies for each proposed injection well before the division could issue a permit. The industry balked and took its complaints directly to the governor, urging Brown to fire Miller. A few Central Valley politicians had already done the same. Some environmentalists, meanwhile, had criticized Miller for what they considered her hands-off approach to hydraulic fracturing. Chevron spokesman Kurt Glaubitz said Wednesday that the company had not urged Brown to remove Miller. In November 2011, Brown removed Miller. She was replaced by Tim Kustic, who according to the suit dropped the requirement that the companies submit the disputed studies before receiving injection permits. Kustic is also named as a defendant in the suit.